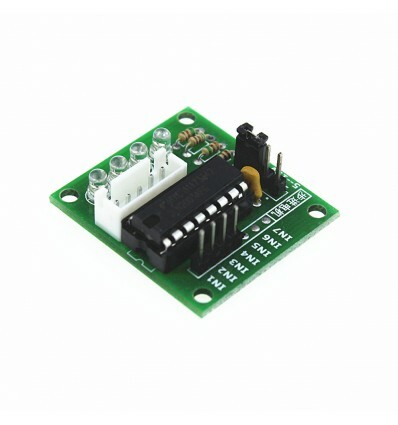 This basic 5 - 12V ULN2003 Stepper Motor Driver Breakout Board is designed to be used with Arduino Boards, to drive stepper motors like the 28BYJ-48. This ULN2003 Stepper Motor Driver Board is a breakout board made to work with Arduino to power small stepper motors like the 28BYJ-48, and operates on a relatively low 5 to 12V DC at 1A. It is controlled via 4 pins and can connect directly to the 3, 4, 5 and 6 pins on a board like the Arduino UNO. This breakout board has four step indicator LED’s to indicate which coil is being powered, and an onboard on/off jumper to quickly set the board to on or off status before plugging in the power. This breakout board typically draws more current than a standard Arduino can supply, so if you are using this board in conjunction with an Arduino Board, be sure to use a separate power supply at 1A. This will ensure that this board doesn’t damage the Arduino or other components, and that the stepper motor will be able to draw more than enough power to work at optimal order. 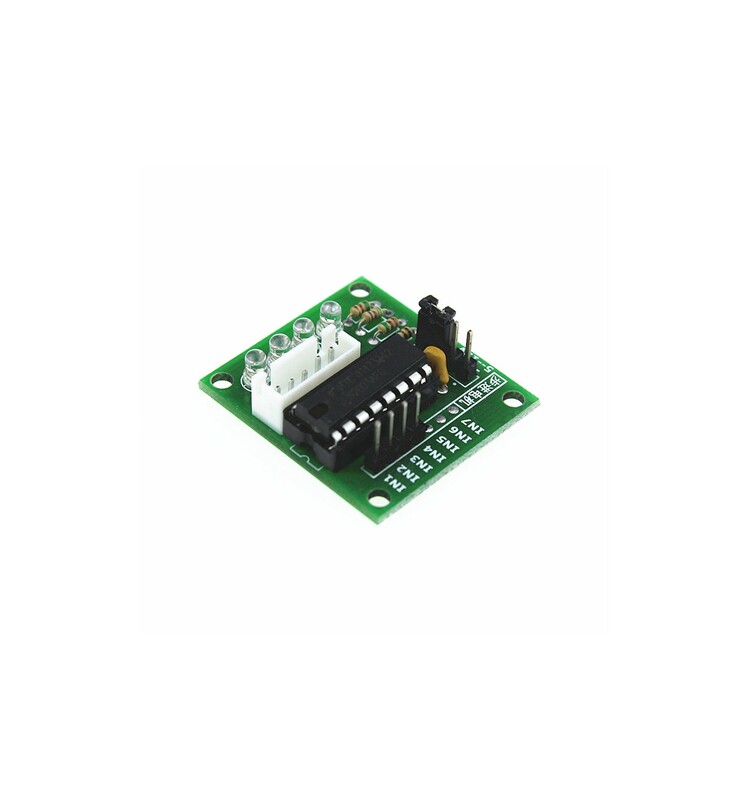 This ULN2003 Stepper Motor Driver breakout board is designed to operate small stepper motors at voltages between 5V and 12V, at a current of 1A. It is Arduino compatible and is typically used with Arduino UNO boards, but often requires a separate power supply so as to avoid damaging the Arduino Baord. The breakout board is relatively simple to use, with status indicators for the stepper coils as well as an onboard on/off jumper. If you’re been looking for an efficient yet affordable stepper motor driver to power small Stepper Motors for projects, this is the ideal solution for most basic electronics applications.